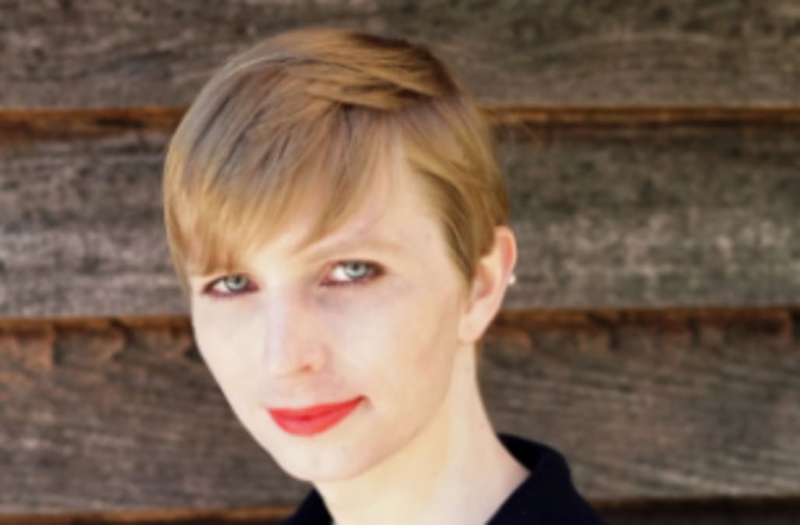 Just one day after Chelsea Manning was released from the Fort Leavenworth prison in Kansas, the U.S. Army official posted a photo revealing her new look. Manning was convicted in 2013 of violations of the Espionage Act after disclosing documents to WikiLeaks in what has been deemed the largest breach of classified information in U.S. history. Manning was released from military prison on Wednesday after former President Barack Obama commuted her original sentence of 35 years to seven years as one of his last acts while in office. "Okay, so here I am everyone!!" Manning wrote on Twitter. The former military intelligence analyst formerly known as Private First Class Bradley Manning began her transition from male to female and began receiving hormone treatment while in prison. It was reported earlier this week that Manning will remain an active-duty, unpaid soldier eligible for health care benefits upon her release.